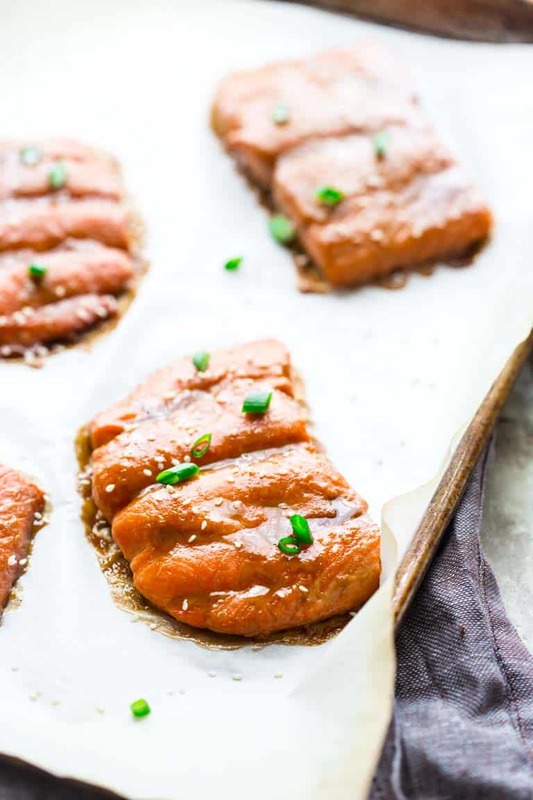 This maple tahini roasted salmon is a keep in your back pocket recipe! It’s glamorous enough for company, but easy enough for a weeknight. And it only has 10 minutes of prep time! Our maple syrup business Little Hill Sugarworks, is off and running. And it is so fun! We already got shout outs from some food bloggers! 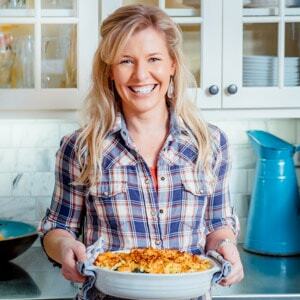 Kathy Strahs of Panini Happy has been whipping up goodies for her family and sharing it on IG. And our friend Jennifer of Nourished Simply also tagged us on IG. We are so excited for that you have no idea! But one dark spot is that I have to be honest, we are having a heck of a time with getting the shipping part of it right. 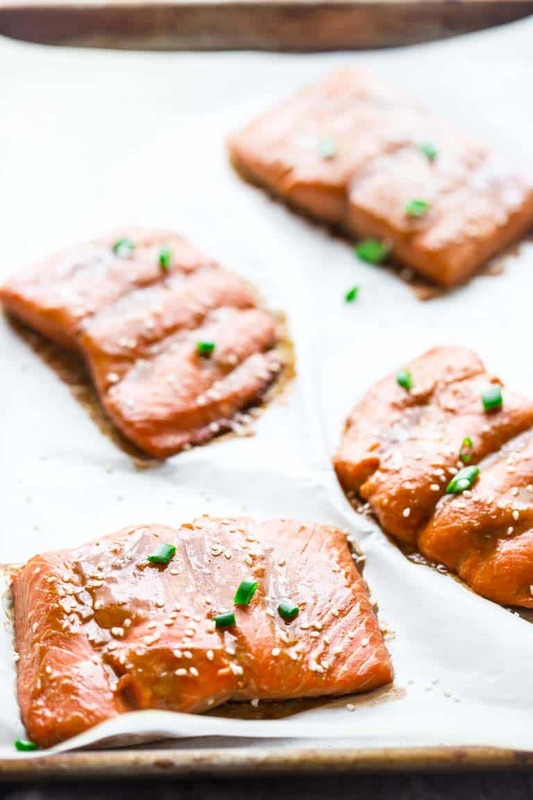 I’m actually working on a blog post for the Little Hill Sugarworks blog about it, since it’s a bit off topic from this maple tahini roasted salmon in most ways. Ahem, not that a fear of being off topic has ever stopped me before. But, the part of the story that you guys will appreciate is about the phenomenon of the missing sharpies. Does this happen to you? Last week while I was supposed to be doing something totally different, I found myself racing around like a maniac looking for a sharpie. I was just going to take five minutes to quickly sign a cookbook and package it up to ship out. But 15 minutes later, I’ve torn the house apart and I couldn’t find a single one anywhere in the whole house. Not one. Guys, I’m convinced that all the water bottles, sharpies and single socks are somewhere partying in a speakeasy for lost household items. Meanwhile, I should really be in the kitchen working on my spring line-up. Thankfully this salmon recipe was so easy to work on. It’s like this, whisk some stuff together. Let the salmon marinate in it for 30 minutes. Roast it. Done. Boom. You are a rockstar because this salmon is sublime. The silky, rich fish with the nutty tasting tahini, and sweet gingery sauce is to die for! It’s enough to make you feel guilty that it is so easy. So if you’re serving it to company you may have to pretend that it was much harder. Do you know of the missing sharpie phenomenon? What disappears in your house? Where do you think all the missing socks go? 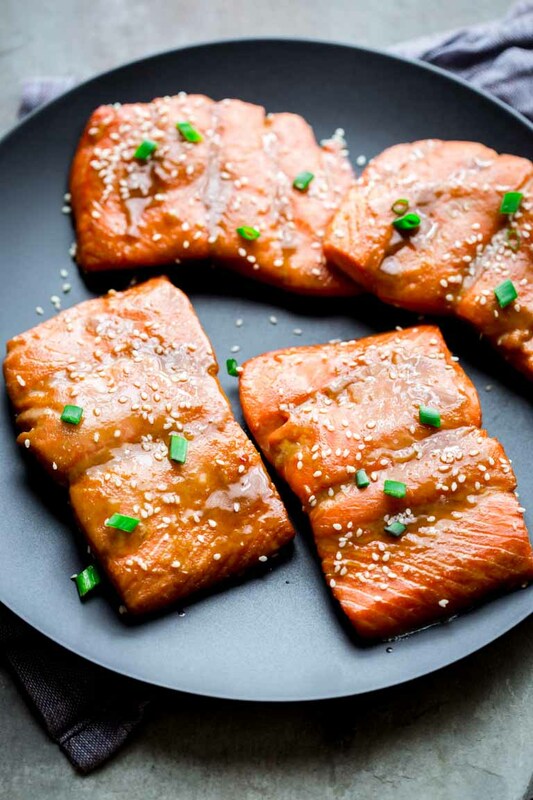 This maple tahini roasted salmon is a keep in your back pocket recipe! It’s glamorous enough for company, but easy enough for a kid friendly weeknight. And it only has 10 minutes of prep time! Whisk together tahini, maple, tamari, garlic and ginger in a baking dish. Spoon 2 tablespoons of the tahini mixture into a small dish and set in the refrigerator for step 4. 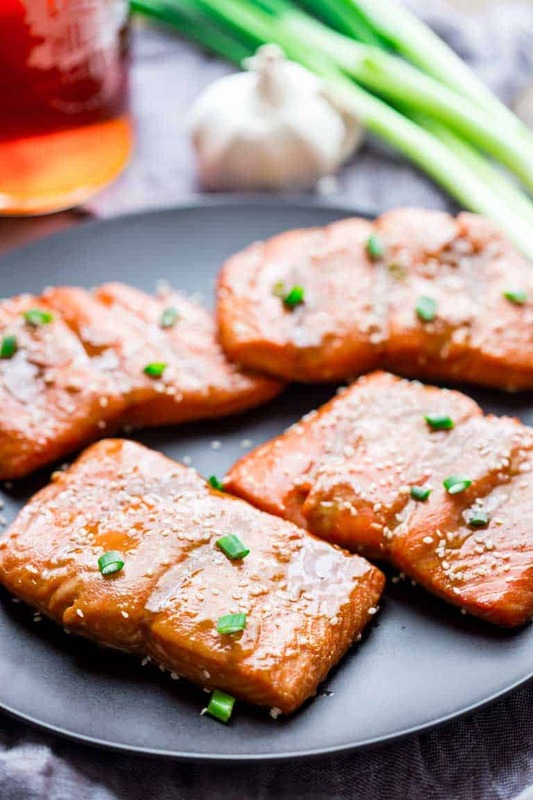 Place salmon in the marinade, and turn to coat. Set in refrigerator 30 minutes. Meanwhile preheat oven to 450 degrees F. Line a baking sheet with parchment. 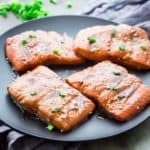 Drain salmon and discard marinade. Arrange on the parchment lined baking sheet. 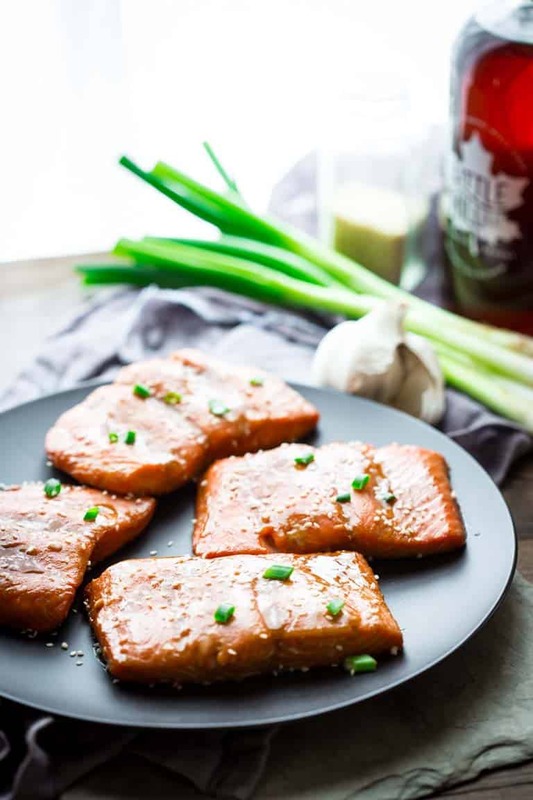 Transfer the baking sheet to the oven and roast until the salmon is cooked to desired doneness, depending on thickness of salmon. Check for doneness by probing the fish with a knife, it’s best if it flakes but is still slightly very slightly rare in the center. For ¾-inch thick filet 6 to 8 minutes. For 1-inch filets 7 to 9 minutes. And for thicker 9- 12 minutes. 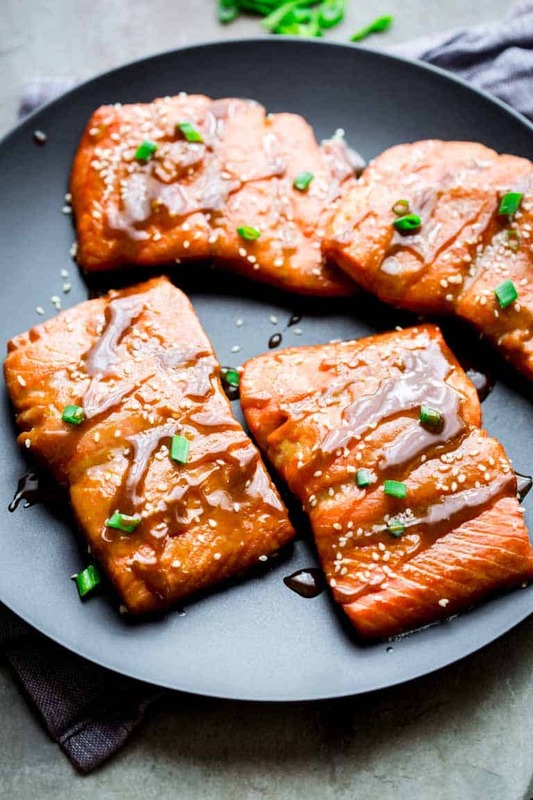 Drizzle the reserved tahini sauce over the hot salmon. 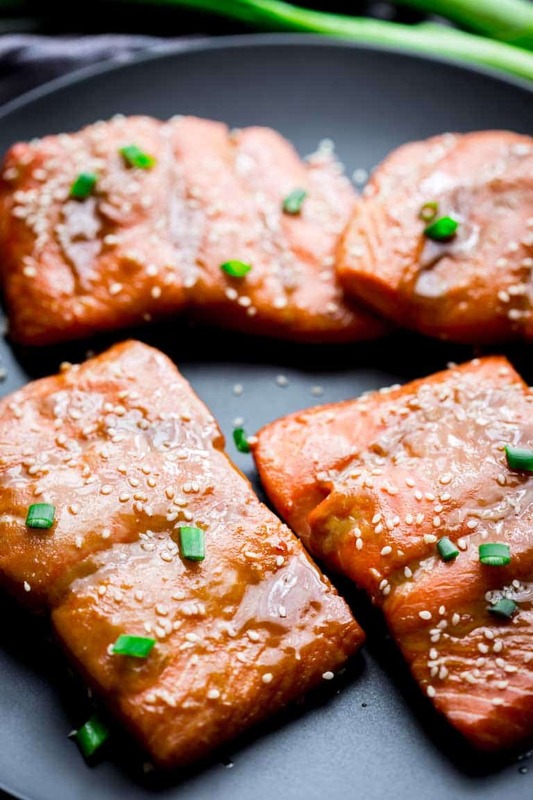 Sprinkle with sesame seeds and scallions. Serve immediately. 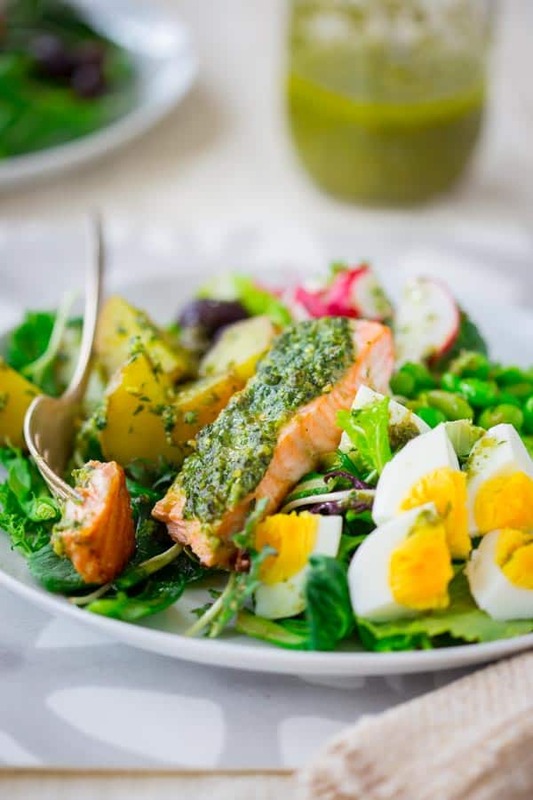 I love the tahini in this dish – what great flavors! I’m always interested to hear new ideas on cooking salmon. 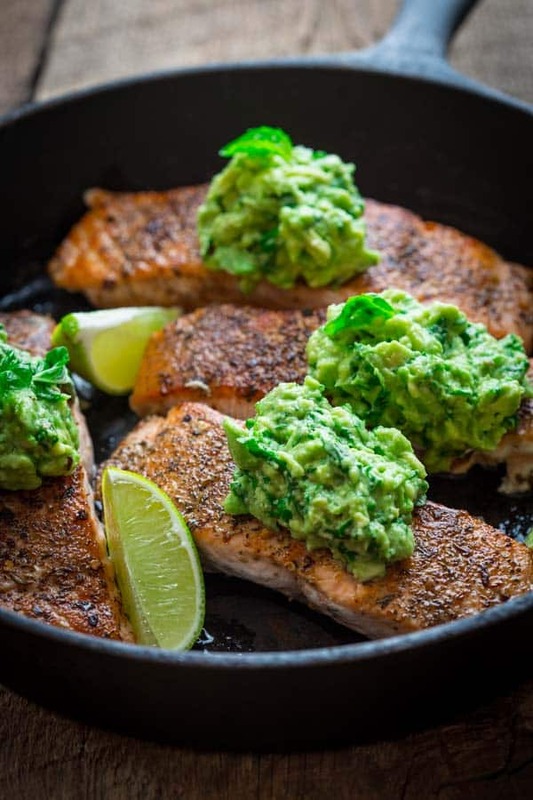 It is one of my favorite fish to eat, and so healthy! Thanks! I am so glad you think so too Danielle. I love salmon too. 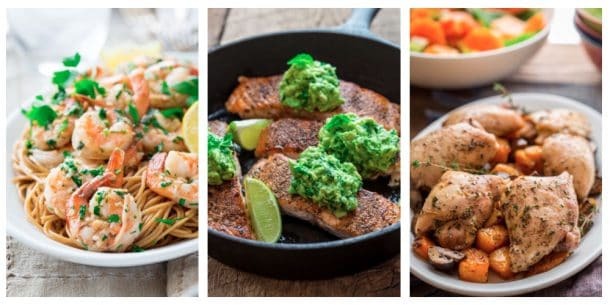 Its my favorite fish to cook at home. Could this be marinated in the am and made after work? (Essentially an 8-9 hour marinade) Recipe says 30 mins but wondering if it matters. Time is tight this week but I’m dying to try your recipe. Thanks! I wouldn’t recommend a longer marinade session. The acidity of the marinade will cook the fish and make the texture tough. If you are strapped for time you can get away with a shorter marinade. The mixture costs the salmon well enough so that it will give it some nice depth of flavor. You can whisk the marinade together ahead of time. 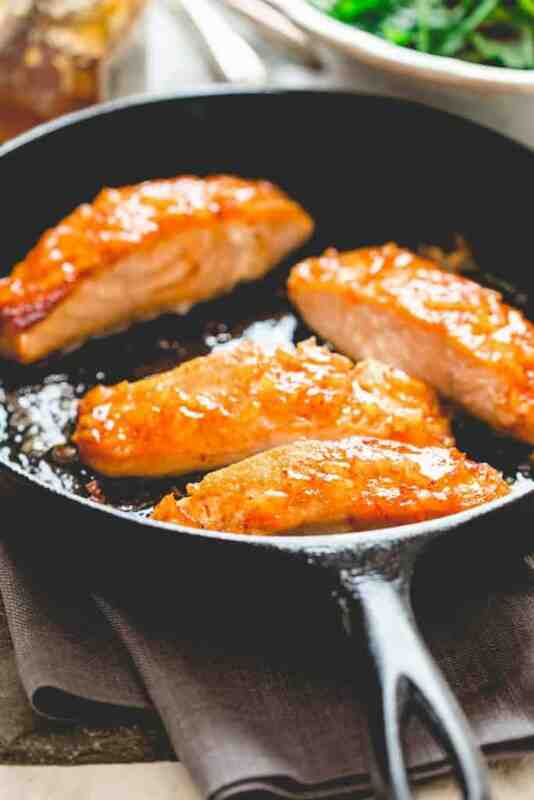 Then as you’re ready to make the meal, pop the salmon in the marinade and let it sit while you heat your oven. Even the 10 minutes that will take should impart great flavor. 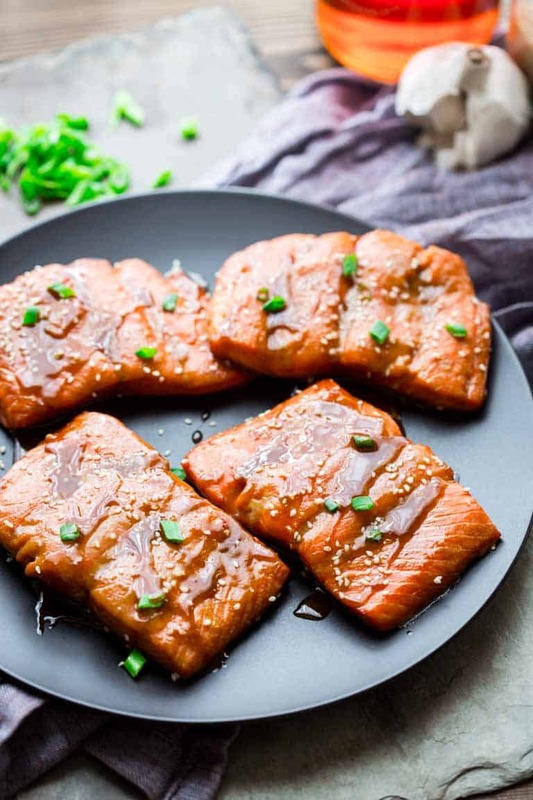 It is a crime to discard the marinade… In your Maple Ginger Roasted Salmon you reduced the marinade after removing the salmon; it is the most delicious thing ever. Why not try it with this marinade? I don’t think the tahini would suffer from reducing. What do you think? I hear you. And thank you about the salmon recipe, so many folks with my book tell me they make that recipe over and over again. Glad you found it and love it too. As far as cooking down this marinade… it certainly wouldn’t hurt to try, since it would be in a separate pot. I would whisk constantly once it gets close to boiling. If it looks broken, you don’t have to add it on. Keep in mind it may be a little saltier overall.